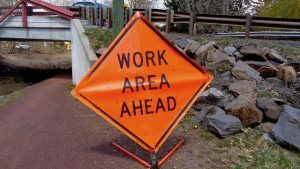 Lane restrictions with flagging are scheduled for Route 263 (Upper York Road) between Aquetong and Phillips Mills roads in Solebury Township from Monday, July 16, through Friday, July 20. Lane restrictions with flagging are also slated for Route 32 (River Road) at Headquarters Road in Tinicum Township on Thursday, July 19, and Friday, July 20. The measures will allow for tree trimming operations, according to the Pennsylvania Department of Transportation (PennDOT). And Route 32 is scheduled to close between Overlook Avenue and Riverview Avenue in Upper Makefield for pipe replacement on Saturday, July 21, from 7 a.m. to 3 p.m. During the daytime closure, Route 32 motorists will be detoured over Overlook Avenue, Park Place and Riverview Avenue. Local access will be maintained up to the construction zones, PennDOT said. Motorists are advised to allow extra time when traveling near the work areas. All scheduled activities are weather dependent.